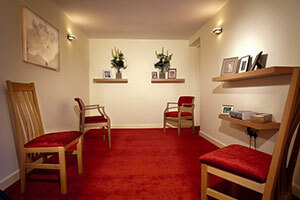 No other local funeral service can provide the complete service under one roof. Uniquely, you can have a Personal Key to a Chapel of Rest enabling you to visit at any time including weekends and bank holidays without an appointment. 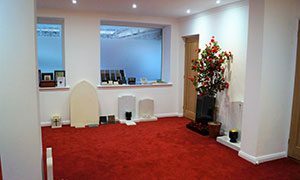 There is free parking in our beautiful courtyard, a private arrangement room, a service chapel and a coffin and memorial showroom, along with all the necessary facilities. 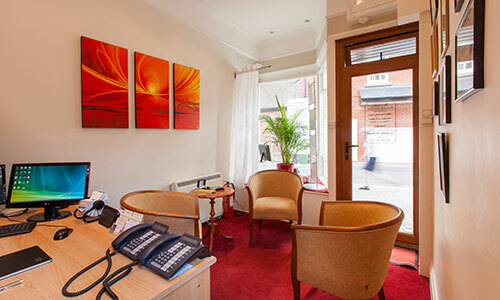 Welcome to our reception area where we can offer advice and answer any questions you may have. Detailed funeral arrangements are made in The Rose Cottage, our 300 year old Grade II Listed building. 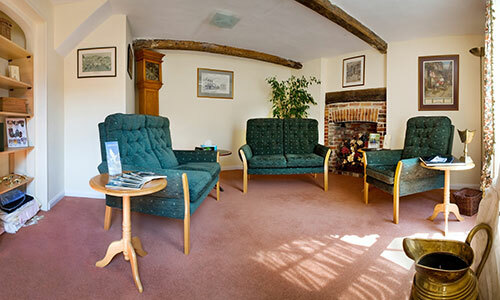 The lounge has a comfortable and quiet atmosphere which provides a sense of comfort and security. We will guide you through the choices available and ensure you will have ample time to consider every decision. Should you wish to discuss your needs in your own home, we are more than happy to do this. 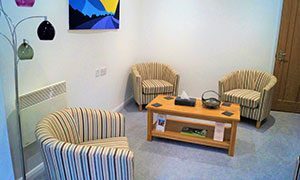 We have two Arrangement rooms where we can discuss details in a quiet and secluded area. Having four Chapels means we never need to move your loved one. Once they are placed in the chapel, there they stay until the day of the funeral. Two of our chapels are traditionally panelled from English oak ensuring a dignified, secluded and totally private atmosphere. The third is the Hollington Chapel, dedicated to the 300th Royal Marine who lost his life in Afghanistan and who we had the privilege of looking after. The fourth chapel is another modern Chapel. 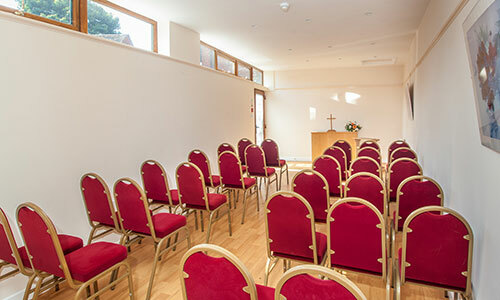 Here you can spend as much time you wish, display photographs or place mementoes in the Chapel or have a particular piece of music played and use the free wifi. Letters or other small personal items can be placed in the coffin but you should discuss this with us to ensure that there are no restrictions at the Crematorium. If you would like to visit your loved one privately and quietly outside of normal working office hours we can provide you with a personal key to your loved one’s Chapel, enabling you to visit at any time and stay for as long as you want. The Rowland Room is available for private and informal gatherings and for services and can accommodate 35 persons seated and 10 standing. An organist can be arranged to accompany hymn singing, alternatively CDs can be played. We can also arrange catering from simple tea, coffee and biscuits to a selection of finger buffets with waitress service. We have a list of approved caterers if required. 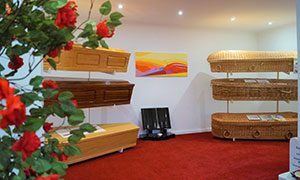 We have various coffins on display or we can show you a wider range in our brochure. Many years of experience means we can advise you on all types of memorials from headstones for a grave to smaller plaques and vases for marking the position of ashes. Cemeteries and churchyards have different regulations regarding material, shape, lettering and finishing styles. We can offer advice and guidance on what is permissible. 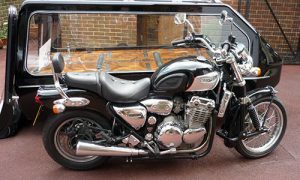 We can provide a variety of vehicles to convey your loved one on their final journey. Whatever you require, just let us know.